The 2015 Golden Globes happened this past Sunday. Versace killed the red carpet with some mesmerizing gowns. My favorite Dress of the evening has to be Kate Hudson’s she looked stunning! I also loved Heidi Klum’s Versace gown as well. 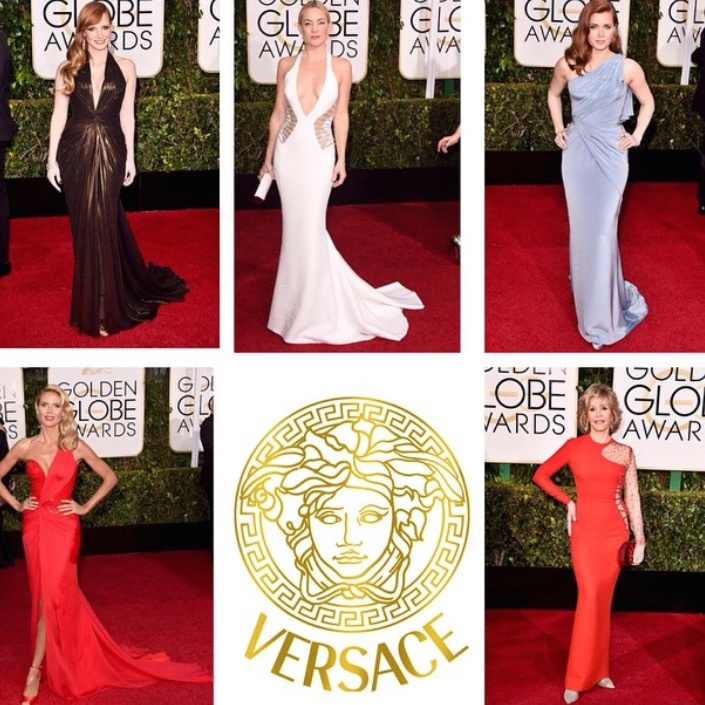 Hear is a look at the Versace Dresses that graced the red carpet at the Golden Globes. Heidi Klum, Jessica Chastain, Kate Hudson, Amy Adams and Jane Fonda Wearing Versace at the 2015 Golden Globes. Heidi Klum wearing Versace at the 2015 Golden Globes. Amy Adams wearing Versace at the 2015 Golden Globes. Kate Hudson wearing Versace at the 2015 Golden Globes. J Lo wearing Versace at the 2015 Golden Globes.